This wardrobe is part of our fabulous Cotswold Range, it gives the perfect storage solutions for your bedroom. As well as this wardrobe been very stylish is also have the rustic design to give you the country look. This wardrobe offers a great storage with 2 compartments, each compartment features a hanging rail and removable shelves and has 2 drawers at the bottom. 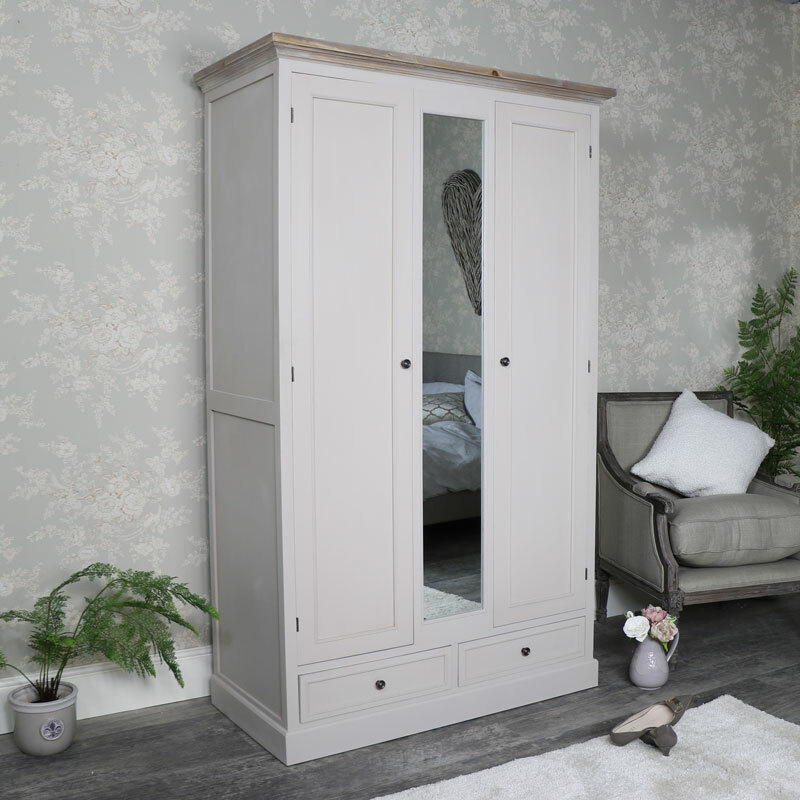 TThis wardrobe has been designed in a matte stone color and has a driftwood style top. The overall look is finished with a long mirror down the center of the wardrobe and round brass knobs. This furniture is very sturdy and allows you to fold or hang your clothes ready for when you need them. We do have many other pieces of furniture available in the Cotswold range, which will help complete your bedroom. We have several more pieces of furniture in the Cotswold Range, perfect for fully furnishing your home in great style. With furniture for your bedroom including chests of drawers in varying sizes and furniture for your living room.